When I was a little girl, I often traveled to India by myself to visit family over the summer. Year after year, my mother always had one request of me — to bring back a beautiful tablecloth. Even during my last visit to India in March with my husband, I found myself frantically searching for another piece to add to her collection. She would never set a table without one! And she has a point. 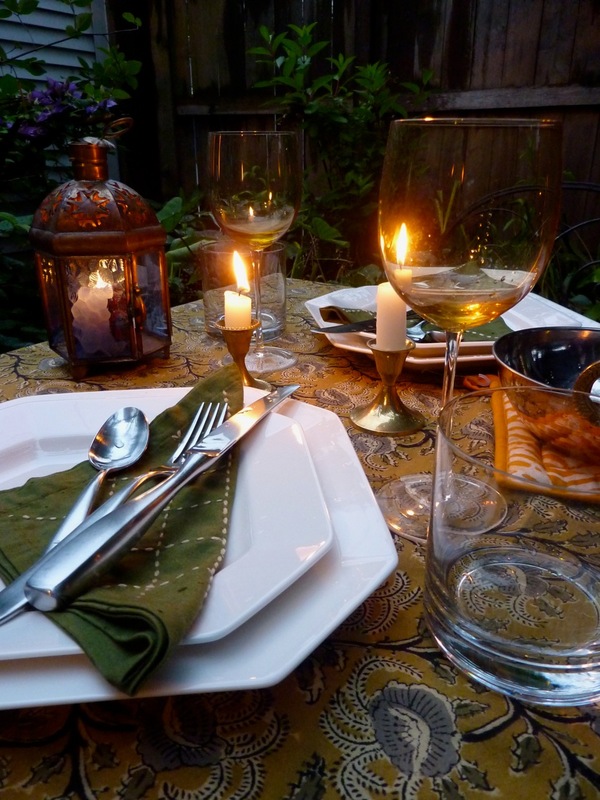 A beautiful tablecloth can make the dinner you serve more scrumptious. It creates a certain ambiance that puts everyone at ease after a long day. In essence, it makes the whole family feel at home. When I was thinking about ways to show you how beautiful and versatile MarketPlace’s products are, I thought I would start in my own house. This is the first in a series of Style postings showing you ways to incorporate the products into daily life. MarketPlace products helped to create a romantic scene. 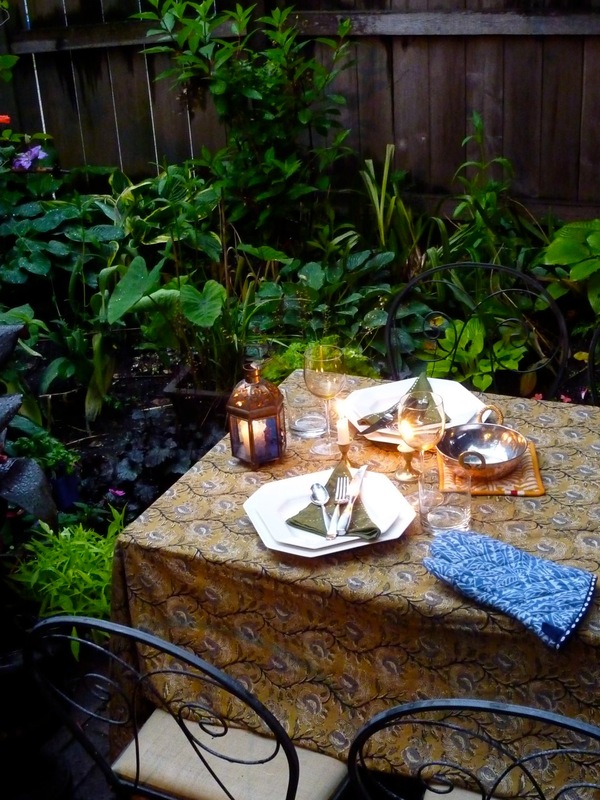 We set the table for a candlelit dinner for two in my back porch. The Mustard & Gray Tablecloth complemented the amber wine glasses, gold candlesticks and copper bowls. The Olive Napkins picked up the highlights in some of the tablecloth quite nicely. We threw in the Blue Oven Mitt and a Hot Pad for fun and an extra pop of color. We hope you enjoy putting together your own romantic table setting. The right tablecloth can create just the right ambiance. I think there’s supposed to be a sale at a church in Evanston tomorrow, but I lost the card and I can’t find out anything about it on the website. Does anyone know the address of the June 12th sale?